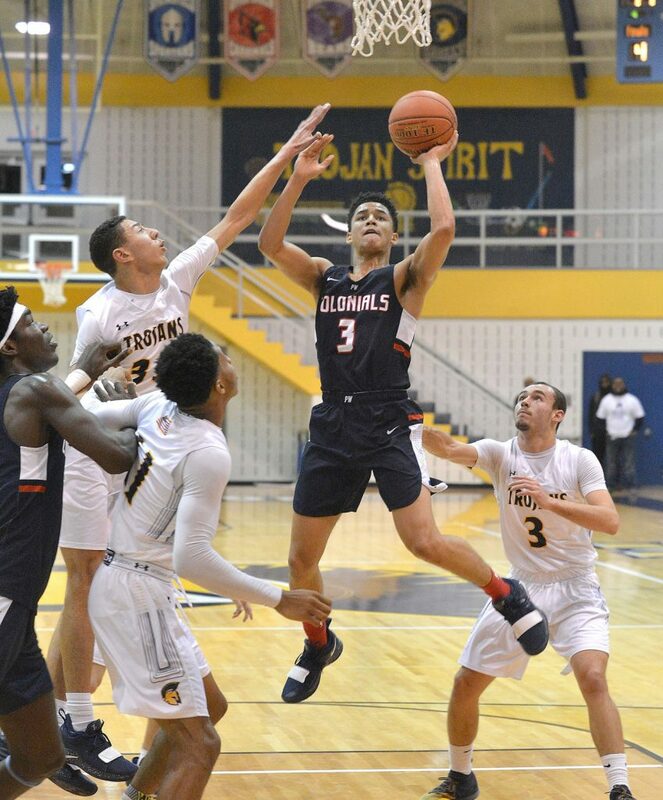 Cheltenham came alive in the second half outscoring Caelin Peters and his Plymouth Whitemarsh teammates by 21 points to turn a four-point deficit into a 73 - 56 Suburban One League American Conference win at Cheltenham High School. Cheltenham took its first lead since the first quarter, 34-32, midway through the third when Tim Myarick made his first three-pointer of the game. That started a barrage of threes from the Panthers. After hitting zero shots from deep in the first half, Cheltenham knocked down six after intermission. Cheltenham’s Myarick and Zahree Harrison each hit two threes in the third quarter and Mike McClain had one. Harrison’s second from distance came at the buzzer to cap off an eight-point quarter for the point guard and send them to the fourth with a seven-point lead, 52-45. In the fourth, Cheltenham played ball control and hit its free throws, shooting 14-for-19 from the charity stripe. Plymouth Whitemarsh can point to foul-shooting as a key contributor to their loss. They went 10-for-21 from the free-throw line and were 4-for-15 before a perfect fourth quarter. The loss is Plymouth Whitemarsh’s first SOL American defeat since 2016. Harrison led Cheltenham with 23 points. Kylin Healey added 13 and Myarick and McClain each had 12. Naheem McLeod led Plymouth Whitemarsh with 20 points, Peters joined him in double figures with 14. McLeod paced PW in the second quarter. He scored the first six Colonials points of the frame and eight of the team’s 12 overall, they led 32-28 at halftime. Cheltenham jumped out to a four-point advantage in the first quarter, leading 4-0 and 6-2. Healey led the Panthers with seven points in the first, but Plymouth Whitemarsh’s Peters had six points and Jordan Evans and Jason Cherry each contributed four to give the Colonials a 20-15 edge after eight minutes.